Leeds United might be one of the most opinion-splitting clubs in the world. Their own supporters are ready to follow the club anywhere, which is easily evidenced by the fact that Leeds have the tenth highest average attendance in the country, despite spending a lot of their time in the lower divisions of English football. On the other hand, their numerous rivalries with other clubs and a problematic off-the-field reputation have eventually made Leeds the most hated club in England. During their lifespan, Leeds have won three First Division titles, one FA Cup and one League Cup. Leeds United in 1920-1921 season. Leeds United Football Club was formed in 1919 as a successor to Leeds City, a club that was forcibly broken up due to have salaried their players (which was against the rules at this tiem). In addition to keeping the name, the newly formed club continued to play its home games at the majestic Elland Road, a stadium that has remained their home to this day. In 1920, when the Football League was expanded, Leeds were elected to the Second Division of the Football League. 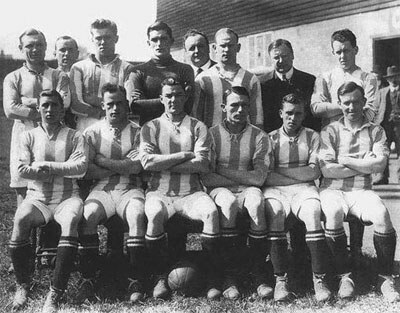 The team that started in the second division was promoted to the first division for the first time in 1924. Historically speaking, Leeds' results were fairly unremarkable until the Don Revie era in the 60s. Immediately upon his arrival, Revie proved to be a manager with the plan; he implemented many positive changes in and around the club, including the meticulous pre-match preparations and the rigorous training program. It was generally accepted that, under his leadership, the club's young talent was given a far better chance to succeed. In 1961 Leeds changed their kit to white shirts, white shorts and white socks – Real Madrid was the model. Since 1934, their dresses had been blue and yellow, and before that white and blue. Not long after securing promotion to the First Division in 1964, Leeds started dominating the local competition. During the next decade, they claimed two League titles and both English cups, while finishing runners-up to Milan in the Cup Winners' Cup. Their biggest loss would come in 1975, however, when they were defeated by Bayern Munich in a controversially refereed European Cup final. Leeds re-emerged as a contender in the early 90s, under Howard Wilkinson. With his eye for talent, Wilkinson was successful in bringing a number of skilled players to the club, including future stars such as Gary Speed and Eric Cantona. As a result, Leeds claimed their third League trophy, the last First Division title before the competition was renamed to Premier League. Their time in the spotlight turned out to be short-lived, however; following a huge financial meltdown at the turn of the century, Leeds were relegated to the Championship in 2004, where they still reside today. Leeds has no European Cup titles, but was in 2001 only two matches away from lifting the heaviest. After beating Deportivo in the Champions League quarterfinals they faced Valencia in the semifinals. But after only 0-0 home, Leeds lost by 0-3 in the second leg. Leeds white, yellow and blue colors are noticeable in their crest and especially characteristic is the white rose, a symbol for Yorkshire. The logo have been changed in several occasions, the last time was in 1998, which resulted in a new crest form and also that the rose would lessen in importance.